Sarah Bartholomeusz is the founder and CEO of You Legal, a top tier legal concierge service. You Legal is a new category of law firm providing corporate and commercial legal services to clients, including ASX listed companies. You Legal’s team members are based throughout Australia and 5 other countries. Sarah was awarded the prestigious Telstra Business Women’s Award in the start-up category for South Australia in October 2015. Sarah’s first book “How to Avoid a Fall from Grace: Legal Lessons for Directors” was ranked as a #1 best seller on Amazon after its release in 2015. In May 2016 Sarah spoke at TEDx in the Whitsundays about Possibilizing, a philosophy that enables people to take make something which seems impossible a reality. In October 2016 Sarah released her second book, “Kingpin: Legal Lessons from the Underworld”, which explores the crucial legal lessons mainstream businesses can learn from the inherently risky and volatile Underworld inhabited by the most infamous Kingpins in history. During the same month, she was also awarded the Thought Leader of the Year in the Lawyers Weekly Women in Law Awards. Sarah is a regular contributor to the Huffington Post and CEO Magazine. 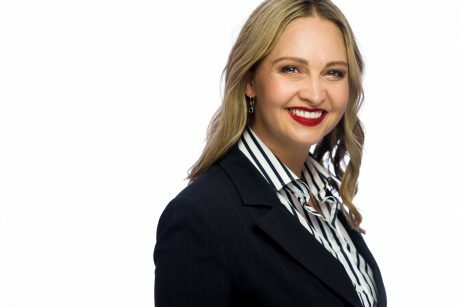 She chairs the Board of the Catalyst Foundation Inc. and she serves on the South Australian Government’s Education Standards Board in South Australia. Sarah is a contributor to our Boardroom Bootcamp course for the topic Governance: Policies and Assurance. Contact Sarah via You Legal or LinkedIn.